Today’s Firestarter Friday is a first – I have for all of you a guest post from a friend of mine. 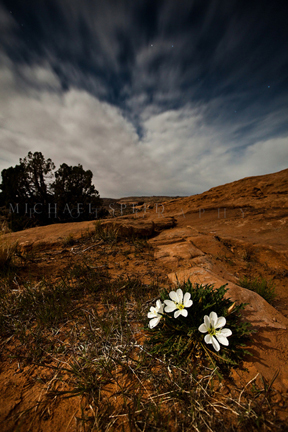 Michael Speed spends his free time immersing himself in photography. 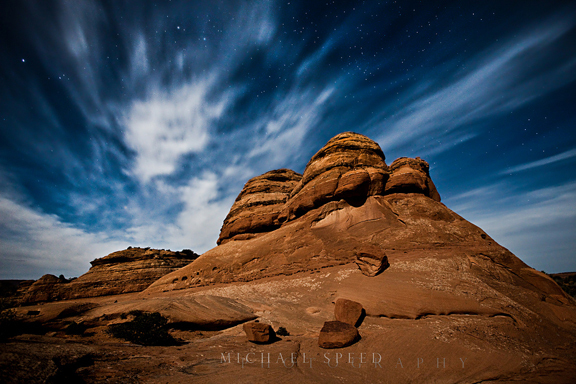 Although his portraits are wonderful, I feel his skills really shine when he is shooting landscapes. I asked him to share some of his favorite shots, and he was kind enough to do so. After reading his post, please head over to his website and check out all the great work he is doing. 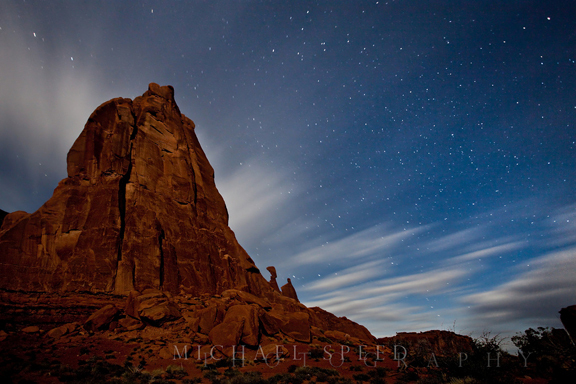 These were actually taken in arches national park, in Utah. Night photography is becoming my favorite type of landscape photography. I like capturing scenes while they bask under a full moon. In the Utah desert, the terrain and weather are perfect for it. I was able to start a hike at 10pm and find my destination with ease, not to mention I was able to wear a tshirt! I also like night photography because I come back with less photos. Each one takes at least a minute to capture, some taking hours, depending on the type of photo a person is going for. The best thing about night photography, to me, is the silence. There were times in Utah, when the wind died down, that I could here absolutely nothing. It was incredible.